Another one gone! – Lincoln Ct. This is the 5th bike I’ve had stolen. 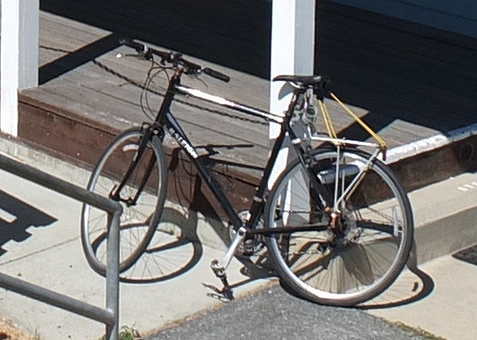 Raleigh black XL hybrid road bicycle stolen in downtown Willow Glen. I had locked it to the rack in front of Hicklebee’s at 5:30 PM tonight and returned to find it gone within a half hour. Next Next post: White Bird Found – is he yours?